What do you think your job is at Left Bank Books? Practical - buyer, merchandiser, and bookseller. Hopefully - provider of information that helps people better their lives and that strengthens the community. What’s in the trunk of your car? Currently, jumper cables, lug wrench, tool box, Ryobi cordless drill-driver, bottle of motor oil, and old license plates. If you had a super power, what would it be? Immortality. Is that a super power? Favorite pair of shoes (past or present): Past - Doc Martin boots. 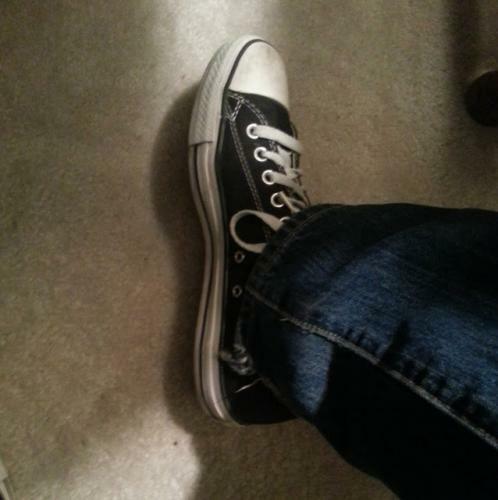 Present - Chuck Taylor's. Here are my favorite books neatly grouped together: Coming Soon The Standards Indigenous Literature Murakami and More Murder and Mayhem What the What?! And if you like talking about what you just read, join our Humble Beginnings book club to discuss the first novels from some of our favorite writers.